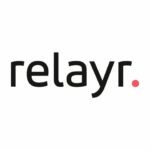 Relayr has been described as one of the most successful start-ups in the industry and we are looking for someone to lead administration and operations for our fast-paced, growing sales team. If you are passionate about IOT technology and want to be part of the digital revolution, join the relayr team in leading the journey to IOT connected industries. We are looking for full-time Sales Operations Manager to join our team either in Berlin or Munich, who will actively support the strategic and tactical plans of Sales and Sales Operations. In this role, you will coordinate sales compensation activities, projects, sales documentation, communication and administer Salesforce.com for our company globally. Reporting directly to Global VP of Sales and Senior Sales Management. Your outstanding organizational skills will provide the crucial support needed to succeed in this dynamic and exciting market. Creating and maintaining sales reporting via Salesforce.com including forecasts, pipeline, bookings and results. Processing documentation such as purchase orders, SoWs and legal agreements for all sales transactions. Working with other members of the team to ensure pricing and sales documents are up to date. Review, update and develop best practises for sales CRM tool, processes and procedures. Conduct training for new tools and process for Sales team. Update process documentation and training material. On-boarding of new sales team members. Some travel may be required to different regions to support the team.